This is a guest blog post by Jay Gopalakrishnan, Founder of Cloud9 Charts. Cloud9 Charts is a Reporting-as-a-Service focused on native analytics from NoSQL databases alongside traditional databases and other sources. Follow them at @cloud9charts. If so, read on. We’ll take a look at how to generate visual insights quickly using a live MongoDB database running on Compose.io, using Cloud9 Charts. Data discovery: Connect and discover collections & fields. Auto-query generation: Automatically generate MongoDB queries and aggregations using a visual interface. 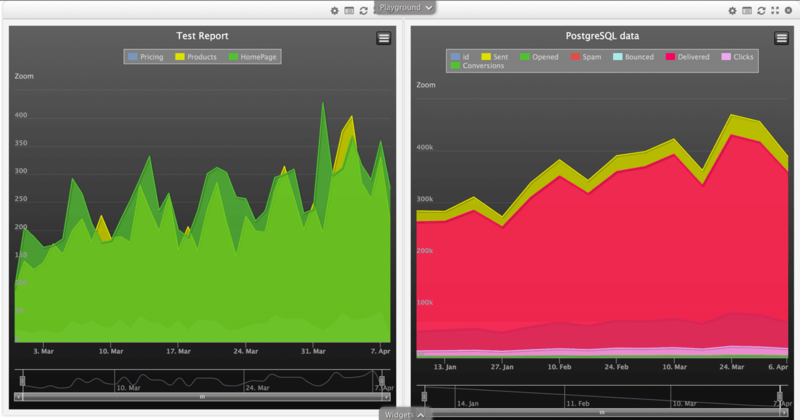 Visualization/Dashboards: Generate shareable, embeddable dashboards. Combining MongoDB data with PostgreSQL data: We’ll use PostgreSQL, the latest addition to Compose.io’s stable, to combine it with MongoDB data on the same dashboard. Click on "Show Me" to see the results. This executes the query and then auto-visualizes the results. As you can see, in a few simple steps, we have connected, auto-generated queries and visualized data from MongoDB. Dashboards once created, can be easily customized, shared & embedded, with options to auto-update it. Now let’s create a dashboard with data from both MongoDB and a PostgreSQL instance. You'll need to sign up to do this. Select PostgreSQL from the list of datasources on the settings page after sign up. PostgreSQL is one of more than 15 NoSQL/SQL and file based data sources we currently have support for. 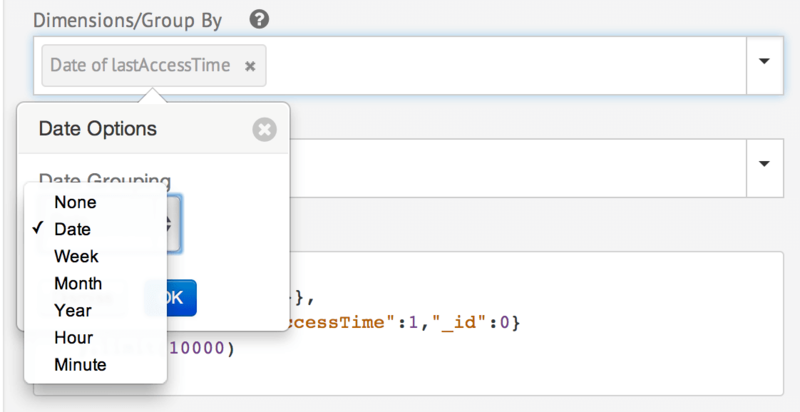 Plug in SQL query - For our default database use: select opened, sent, date from demo_data. As you can see, in a few simple steps, we are able to go from live MongoDB data to business insights quickly, in addition to combining it with PostgreSQL data into the same dashboard. Many thanks to the Compose.io team for hosting us!